The 18-hole Buckeye/Wolverine at Bedford Hills Golf Club in Temperance, MI is a public golf course that opened in 1993. Designed by Fred Burning, Buckeye/Wolverine at Bedford Hills Golf Club measures 6124 yards from the longest tees and has a slope rating of 119 and a 69. 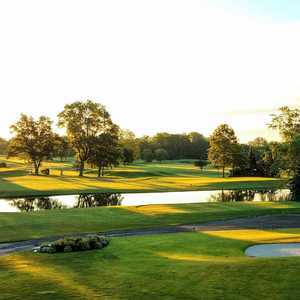 The 18-hole Eighteen at Giant Oak Golf Club in Temperance, MI is a semi-private golf course that opened in 1969. Designed by Arthur Hills, Eighteen at Giant Oak Golf Club measures 6415 yards from the longest tees and has a slope rating of 123 and a 70. The 9-hole Nine at Giant Oak Golf Club in Temperance, MI is a semi-private golf course that opened in 1969. Designed by Arthur Hills, Nine at Giant Oak Golf Club measures 1464 yards from the longest tees. The course features 2 sets of tees for different skill levels. 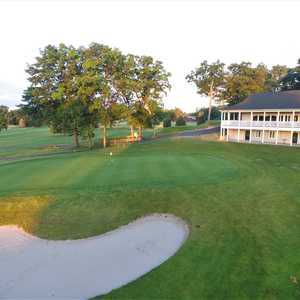 The 18-hole Irish/Buckeye at Bedford Hills Golf Club in Temperance, MI is a public golf course that opened in 1996. 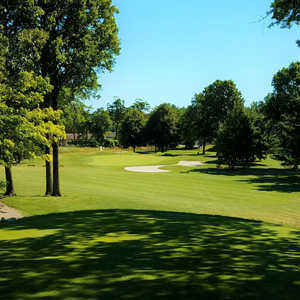 Designed by John Rutter, Irish/Buckeye at Bedford Hills Golf Club measures 5941 yards from the longest tees and has a slope rating of 115 and a 68. The 18-hole Wolverine/Irish at Bedford Hills Golf Club in Temperance, MI is a public golf course that opened in 1996. Wolverine/Irish at Bedford Hills Golf Club measures 6231 yards from the longest tees and has a slope rating of 117 and a 69.